You are currently logged on to the Belle Plagne hotel in France. You are therefore bound by its rules of use. All information contained on the Hotel Belle Plagne website, the largest castle hotel in France, can be downloaded, copied and printed, provided that the information is intended solely for personal use and is in no way used for commercial purposes; that the information is not modified, and that all copies refer to the copyright of the Hotel Belle Plagne. 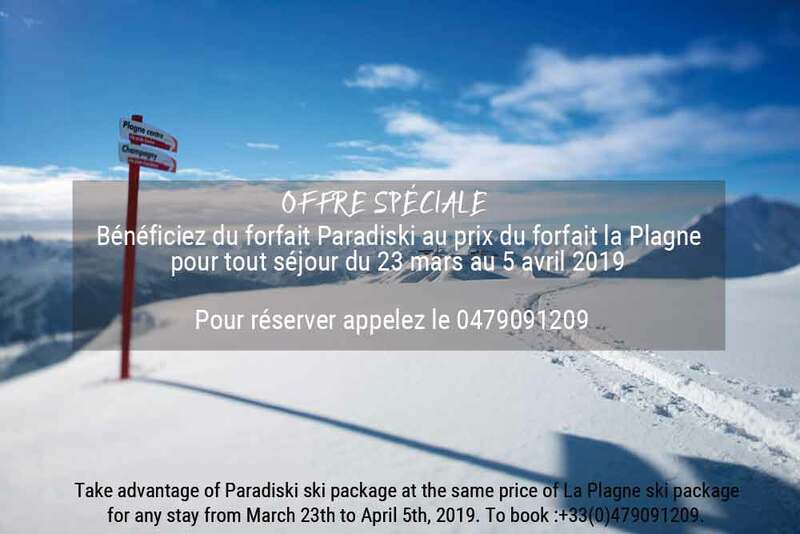 Any other use is strictly prohibited without the prior written permission of theHotel Belle Plagne. The Hotel Belle Plagne makes no guarantee, express or implied, and assumes no liability for the use of information contained on this website. The Hotel Belle Plagne is not liable for the accuracy or errors or omissions contained on this website. The Hotel Belle Plagne is not liable for any damages whatsoever, whether direct or indirect, resulting from any information contained on this website. Under the French Data Protection Act No. 78-17 of 6 January 1978, you are entitled to access, rectify and contest any communication of your personal information by contacting the Hotel Belle Plagne.